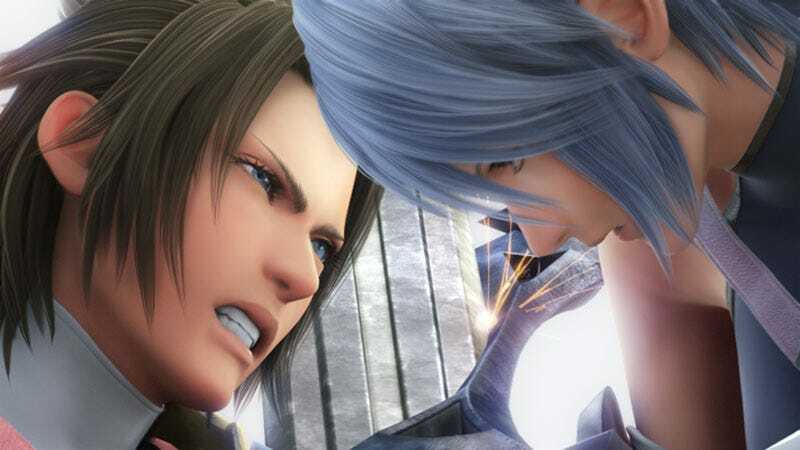 Square Enix is bringing the PSP prequel to its incredibly popular Kingdom Hearts series to North American shores, unsurprisingly, applying a vague "summer" release date to Kingdom Hearts: Birth By Sleep. The fifth entry in the Disney-Square Enix crossover series, Birth By Sleep will be armed with a few new additions in its North American form. The localized release will include a number of new features including "Crown Stickers," one extra boss and additional multiplayer options. Combine "Crown Stickers" with "Command Styles, Command Decks, Shotlocks and Dimension Links" and we have what Square Enix claims is "the most advanced Kingdom Hearts title to date." Whether you know what a Shotlock is or not, combined with the June 8 release of Metal Gear Solid: Peace Walker, PSP owners in North America are in for a blockbuster summer. Here are some impossibly great looking screens of Kingdom Hearts: Birth By Sleep to boost your enthusiasm.